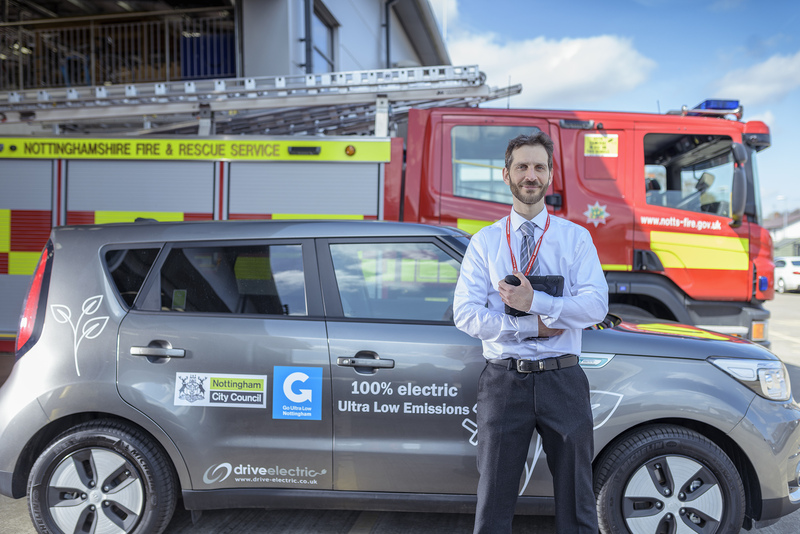 Automotive Comms directs the marketing and communication for Nottingham’s ULEV Experience, funded by Go Ultra Low Nottingham, as part of a consortium of partners including Cenex, the Energy Saving Trust and DriveElectric. The aim of the project is to increase the adoption of ultra-low emission vehicles (ULEVs) in Nottingham over the next two years. The ULEV Experience offers awareness-raising events, fleet reviews and ULEV loans to businesses in Nottingham, in order to ensure that people gain the best advice and also experience driving the latest electric vehicles. 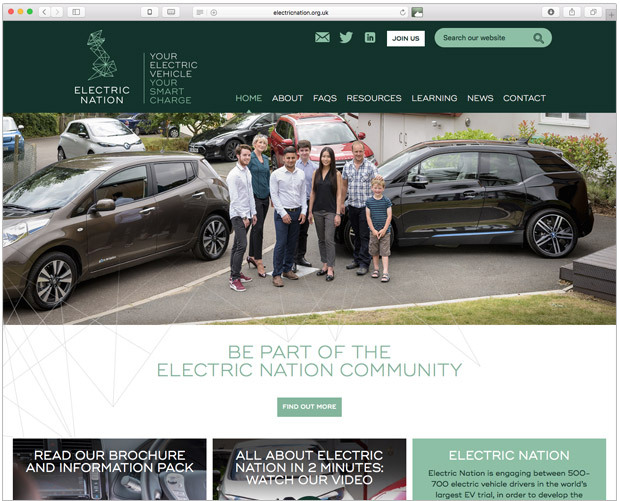 Electric Nation is a project to trial a smart charging solution to help local electricity networks to cope with growing numbers of electric vehicles, with partners including Western Power Distribution, EA Technology and DriveElectric. 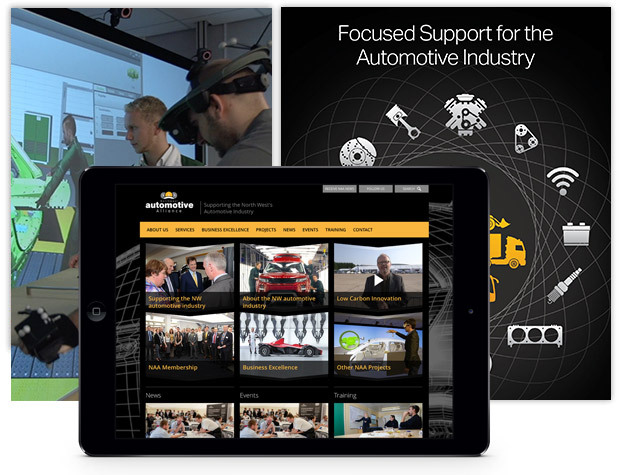 Automotive Comms has directed all communication for this three-year project, including elements such as strategy, website, written content, photography and videos, event support and PR. The communication for the project has recently won an Award for ‘Marketing Project of the Year’. Automotive Comms works with virtually all of the leading automotive and low carbon automotive organisations in the UK, including the Low Carbon Vehicle Partnership (LowCVP). 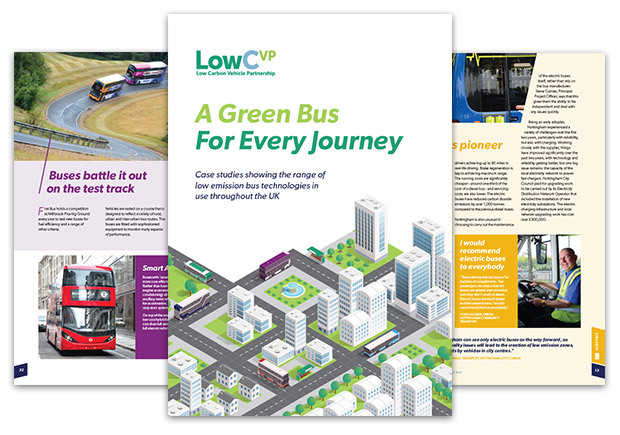 We have provided marketing, communication & PR support, including writing, photography and design for a report about the UK’s green buses, and support for the LowCVP Low Carbon Champions Awards, including assistance with press releases and liaison with industry media. 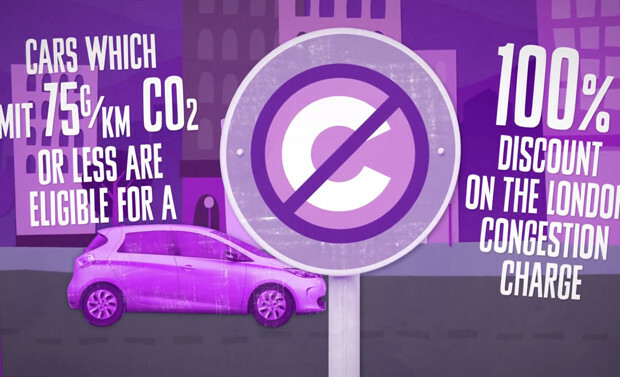 Automotive Comms was commissioned by the Energy Saving Trust to produce an animated video communicating the benefits of electric vehicles in an engaging way. The video has enjoyed over 250,000 views. We identified a need to communicate about which low emission vehicle is best for different people with varying driving patterns. 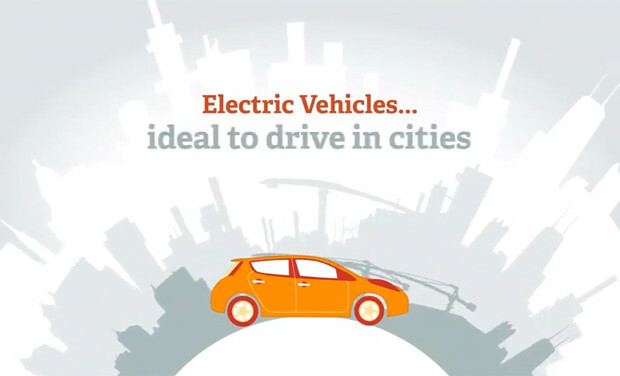 We proposed to the Energy Saving Trust that we should produce a second animation, further to the original Electric Car Guide animation above, to convey this information. This animation was produced, with TV presenter Robert Llewellyn providing the voiceover, and has also enjoyed over 250,000 views in a short time period. This means that we are one of the leading organisations in the UK with expert knowledge of the low carbon automotive industry, and the organisations involved. Automotive Comms carries out a wide range of communication work for the Northern Automotive Alliance (NAA). This includes the writing and production of the NAA’s monthly e-newsletter, communication support for a wide range of NAA events such as the Annual Awards Dinner, and for other NAA projects such as STRIVE, an AMSCI-funded NAA/Bentley virtual reality design project. 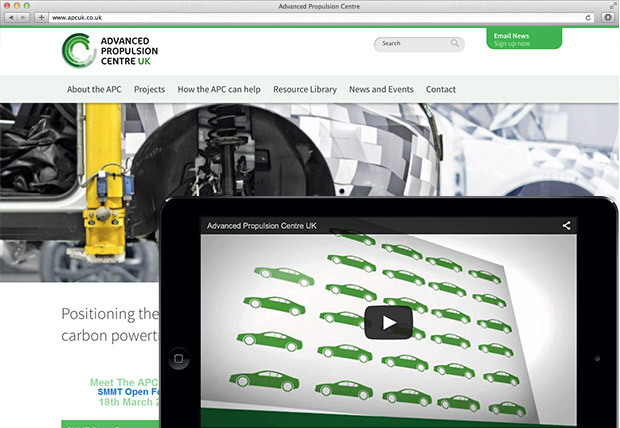 Automotive Comms designed and developed the website for the £1 billion Advanced Propulsion Centre (APC), and produced the APC video. We were selected as the top provider, from many companies, after a tender process assessed by BIS. 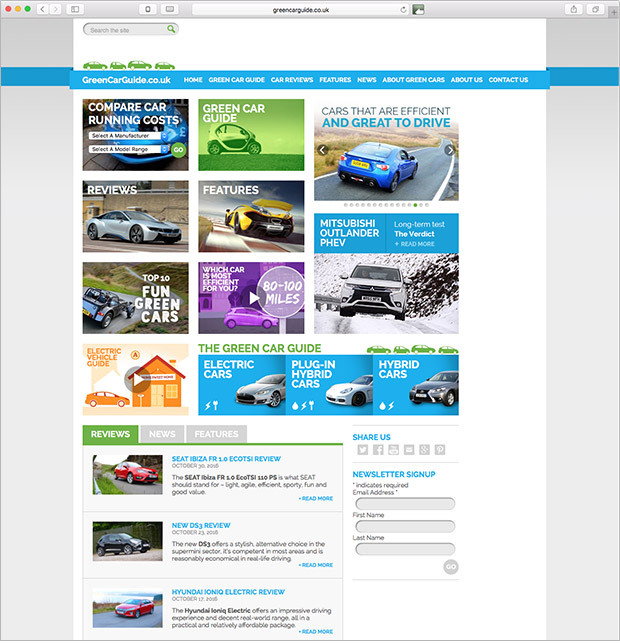 Both the website and the video have had a very positive response from the wider automotive industry. Automotive Comms also writes content for the APC, using our experience of many years working in the field of low carbon vehicles. 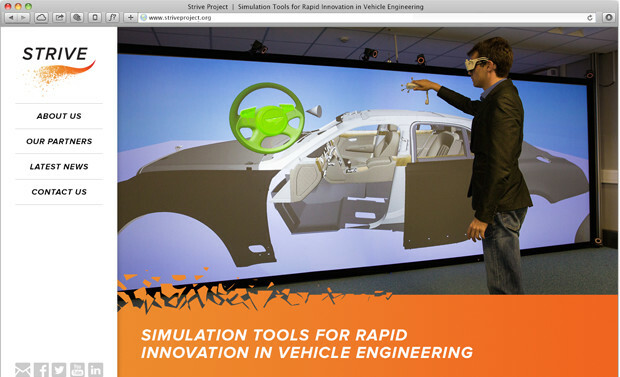 Automotive Comms has carried out the communication for STRIVE, an AMSCI-funded NAA/Bentley virtual reality design project, including designing the identity, website, exhibition stands and production of a video. 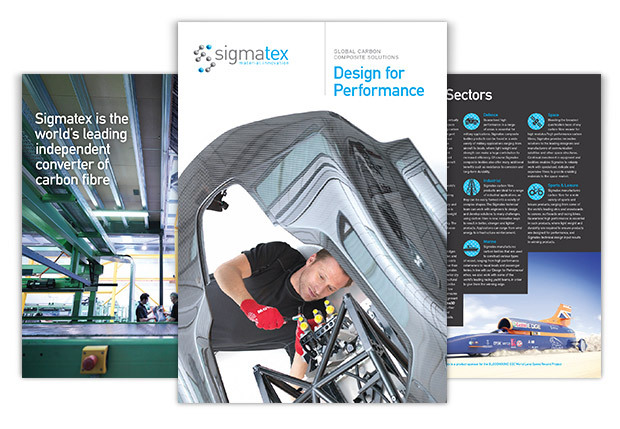 Automotive Comms created a marketing strategy for Sigmatex, the world’s leading independent converter of carbon fibre, to help the global company achieve ambitious growth targets. We then implemented our recommendations with a range of marketing materials, including with the design and build of a new website, a 3D animated video, and new printed marketing materials – as well as copywriting, photography and PR. We have also provided marketing support for the Sigmatex Lightweighting Excellence (LX) AMSCI project, which is working with three global car manufacturers to manufacture composite components in medium to high volumes at affordable costs. 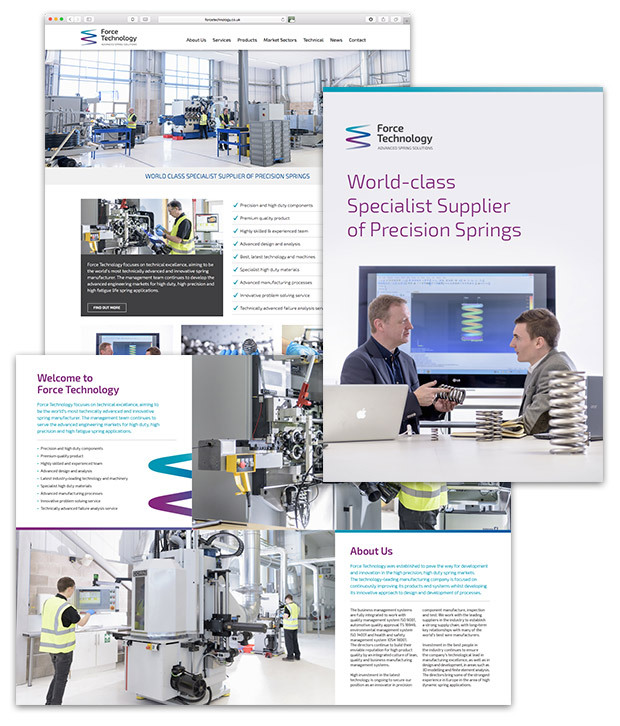 manufacturer to a business that is seen to offer leading expert advice about the design of springs to cope with high performance use and challenging duty cycles. Force Technology is now supplying springs into high profile clients in sectors such as automotive and heavy diesel, often displacing previous suppliers that have been in business for many years. Helical Technology has been established for over 50 years and has a global presence with production facilities in the UK, India and China. With a background in the design and manufacture of springs, valve rotators and actuators, the business is now a world leader in the design and manufacture of acoustic and EGR exhaust valves and offers world-class testing services at its purpose built Technical Centre. 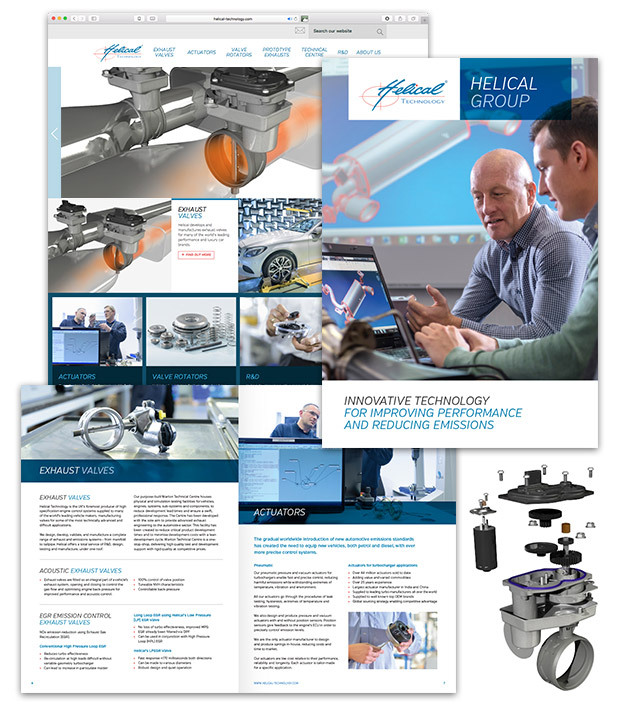 Automotive Comms was commissioned to produce a marketing strategy for the company and to initially deliver an all-new website including a technical animation, new brochures and presentations. All these items included new copy writing and new photography. Fylde CNC, a sub-contract precision CNC machining company, wanted to broaden its customer base and grow the business. NAA member Automotive Comms identified that Fylde CNC would benefit from marketing advice and support to help the company make the most of additional opportunities in the automotive industry. The resulting marketing project looked at overall marketing strategy and elements including website, presentations and brochures. 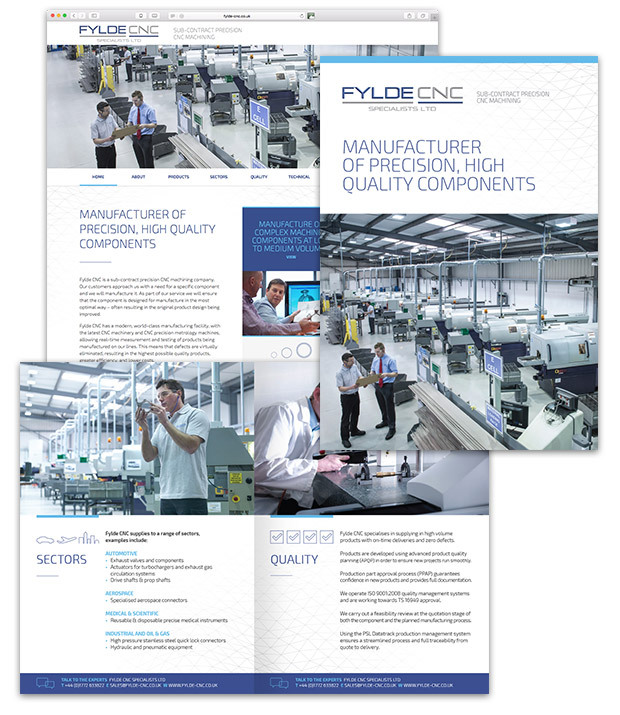 Since the new marketing strategy was implemented, Fylde CNC has gained nine new customers and has had an increase in sales to date in 2016 of £591,135 and estimated additional growth for 2017 is £960,000. Fylde CNC’s Managing Director states that this increase in sales of over £1.5 million is due to the new marketing strategy. The marketing has been carried out for a budget in the region of £15,000. An increase in sales of £1.5 million seems like a good return on an investment of £15,000. Vodafone Automotive needed to communicate about a new vehicle security technology that is able to track and disable a vehicle if stolen or hacked. The best medium to convey the way the system works was agreed to be an animation. A storyboard was developed and subsequently the animation. This has been used successfully with automotive OEM and their dealerships.